For the washing of a car, motor home, boat etc ½ cup to a bucket of water will clean your pride and joy while leaving a superior finish due to the wax included in the formula. 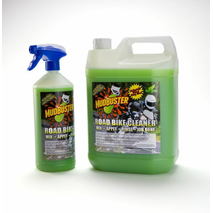 Due to its natural make-up, MudBuster is perfect for house-hold use such as the cleaning of PVC Window frames, ovens, barbecues, showers, tiles and lots more. We believe that our products are the best available, while being affordable and you the customer will see the results of this truly amazing product.